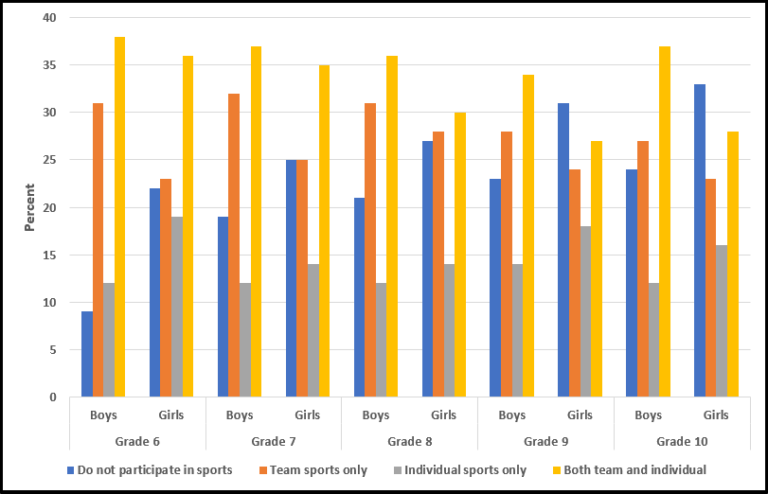 Girls in Grades 6 through 10 are more likely to participate in individual sports than are boys in the same grades. However, they are less likely to participate in team sports than are boys. In Grade 6, 22% of girls said they did not participate in sports compared with 9% of boys. As the grades increase, girls are less likely to participate in sports – by Grade 10 33% of girls said they did not participate in sports.